Gin Pimms and Fun in the Sun! Wow what gorgeous weather we’ve had in London today! I decided I’d head back to my parents’ house for the day to really make the most of the sunshine in their beautiful garden! Mummy Pickle is known for her excellent lunches, so it was no surprise there was a delicious spread of walnut loaf, olives, chorizo, salami and a selection of cheeses ready and waiting for me! She also mixed up a jug of Sipsmith’s Summer Cup, which is like a gin based Pimms-style drink, which is our new fave tipple of choice! We discovered it at the Spirit of Summer fair last month and have been drinking it ever since! It’s such a nice light summery drink, but without all the sweetness of Pimms which I find a bit too sugary. I highly recommend it (particularly if you’re a big gin fan like me!) Mum usually finds gin literally to be mother’s ruin, but she loves Sipsmith’s, so it must be good! 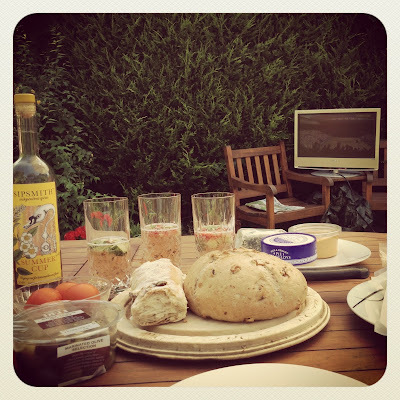 My dad decided to take our lovely lunch to the next level of awesomeness by setting up a tv outside so we could keep up to date with the Wimbledon ladies final! Excellent work! 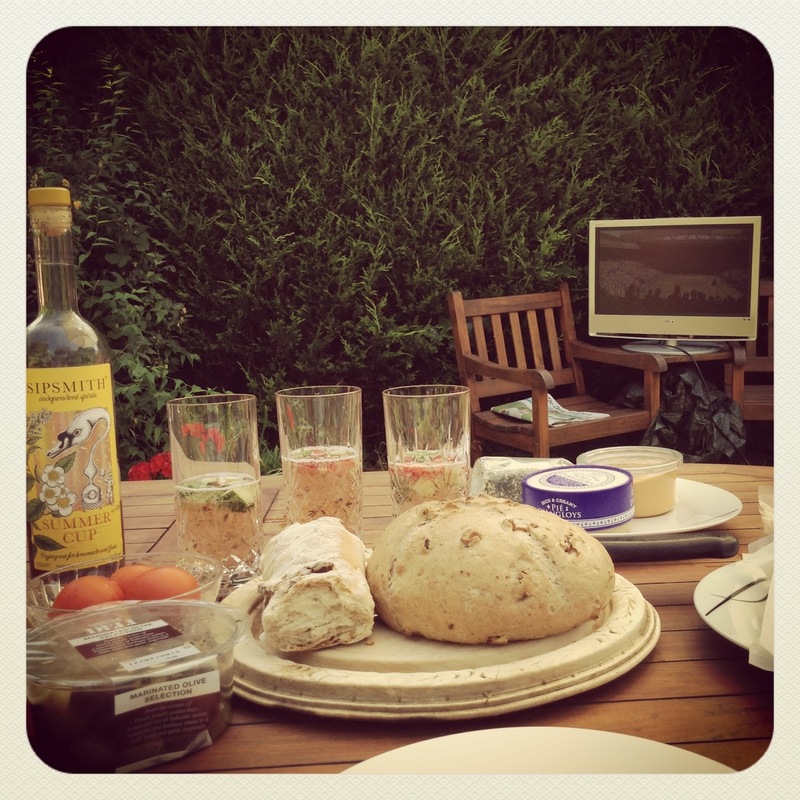 We really Aced watching Wimbledon in style! How have you been enjoying the sun today? Previous Post 30 Day Snap Challenge | Day 5 – Bon Jovi! Next Post 30 Day Snap | Day 7 – THE SATURDAYS!! !